Posted on Friday, July 31, 2015 at 1:14 AM into windows10, gotcha & code by Steve Woods. Today I installed Windows 10 via Windows Update over the top of my Windows 8.1 setup - well, three times actually, because twice I had to roll back as I couldn't get my wireless network adapter to work. Device Manager said that all was well, but it simply could not find any network connections. Additionally, I wouldn't use the F12 key on my laptop to turn on Flight Mode - it acted like it was stuck and had no effect (I'm on a HP Envy by the way) which signified to me that all was NOT in fact well, and something was definitely up. More importantly, I could not even install any drivers because each time I tried to use the Windows 8 drivers in compatibility mode, I kept getting a "semaphore timeout" error - whatever that is. So yea, I was stuck ... and with no wireless connection I had no Internet, so no chance of figuring this out in the browser. The only tool I had at my disposal was the Event Viewer application which was showing some errors attempting to bind the IPV4 stack to the network interface, so I fired up my phone and started trawling the internet for any network interface related issues with Windows 10 of which there were none of any real relevance. 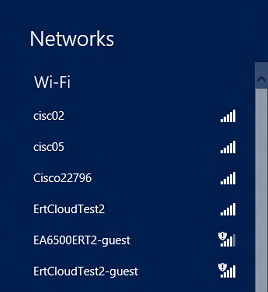 However I thought to myself what else could be preventing anything from binding - that suggested something else was trying to use the interface and I remembered that I had the Cisco VPN client installed, which does some really funky stuff to the network stack on Windows at times. I decided to check if it was running and for some reason, the service had failed to start... hmm, something definitely in this. I have no need for the Cisco VPN client at present, so decided to uninstall it - but when I tried, Windows claimed the OS was corrupt (WTF?) and wouldn't let me do it. So I decided to roll back to Windows 8.1 and uninstall it from there instead. Once I'd uninstalled the VPN client (and associated services), I reinstalled Windows 10 and the wireless adapter worked straight away, no issues whatsoever. So - if you have the Cisco VPN client installed on your Windows 8.1 machine, uninstall it before you upgrade to Windows 10.